To ensure the high quality of malaria laboratory system in term of routine training, quality assurance of microscopy, confirmation of PCR for all plasmodium including P.knowlesi, and routine lot testing of RDT. To map quality assurance situation of malaria diagnosis by microscope, PCR and RDT, and assist in collecting, updating malaria diagnosis routine data, situation analysis, preparation of project documents, facilitation and coordination of WHO and partners inputs into the program. To provide technical support to the improvement of implementation of quality malaria diagnosis pre-service and post-service training system including curriculum and certification, in collaboration with clinical pathology and medical laboratory (PDS PatKLin), clinical parasitology (PDS PARK), Diploma of Medical Laboratory Technologist, PPSDM, PATELKI and other potential agencies. 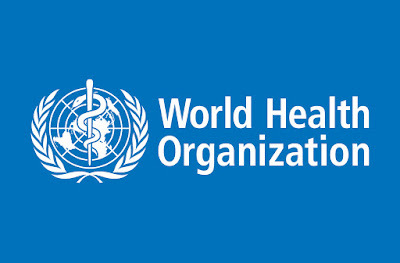 To support in updating national guidelines on quality assurance microscopy in all malaria endemic stratum and RDT as per WHO guidelines/recommendations, as well as facilitate WHO External Competency and national competency of microscopist. To provide technical support in establishment of malaria center for PCR laboratory in Indonesia that covers P.knowlesi confirmation with high quality standard of diagnosis method, and the establishment of laboratory center for routine lot testing of RDT and developing referral bank slides in Indonesia, in collaboration with other Directorate of MoH and other acknowledged laboratories in Indonesia. Perform any other duties as assigned by WR and Technical Officer (TO) MAL and VBDC. The selected candidate should also complete and submit transparent and timely achievement report at the end of the contract period to WHO Country Office. Desirable: Advanced degree in Biomedical/Microbiology or related clinical/chemical laboratory technician with training in lab/health facility management. Essential: At least five years’ experience in health laboratory program implementation preferably in malaria at district or province or national level. Desirable: Experience in malaria laboratory system; ability to deliver public health training, using techniques of mentoring and on-the-job training; management/supervision of laboratory of malaria program at the district or province and national level.